Sin is awful. It separates us from God. The religious leaders of Jesus' time got at least that much right. Unfortunately, they had worked everything in the own favor, exempting themselves from any consequences. And in so doing, they built their own system, a system of insiders & outsiders divided by arbitrary, man made laws enforced by armed guards who patrolled the temple precincts in order to keep the sinners from mixing with the righteous. The outcasts- the sick, the ceremonially unclean, the drunkards, the whores, the lepers, the tax collectors who stole from the people, the foreigner- these types of folks had little in common but for one thing; they were barred entrance to the temple which was the place of God's glory presence. They were turned away and refused the opportunity to meet with the God who loved them. Yet it is these very same people that Jesus seeks out & ministers too. He sits down to dinner with sinners & thieves, graciously permits a prostitute to wash his feet, courageously refuses to agree to the stoning of a woman caught in the act of adultery, gently touches the flesh of lepers, and heals the servant of Roman soldier who imposed the evil of occupation! 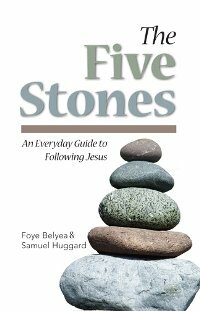 For a Jew who strictly obeyed the law, Jesus' behaviors were unthinkable. Unless, of course, through his actions, Jesus is saying something, making a statement about what God thinks of those in authority who hide their own sins behind robes and titles while exposing the sins of others and prohibiting them from worshipping God. Jesus did not judge the sinners or there unclean. He loved and respected them. He offered them acceptance and said that he (not the traditions that stood against them) was the only way to God. And because ne spoke with authority and walked in integrity (he had no sins under his robes), many believed in him and experienced the freedom that comes from submitting to him as Lord.